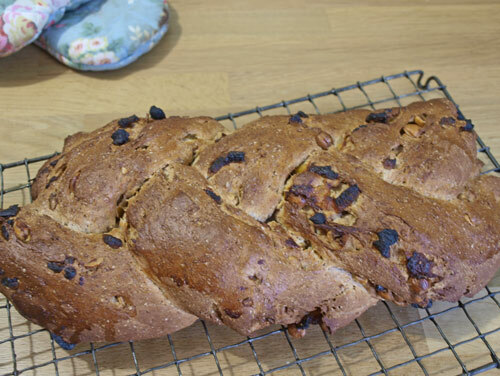 The Alpha Bakes challenge for May is to bake something beginning with the letter 'H'. 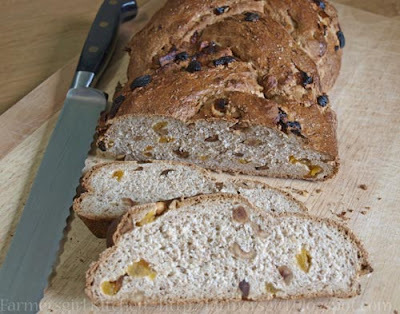 It's hosted this month by Caroline of Caroline Makes who alternates hosting with Ros from The more than occasional Baker I had a browse through my books and found this Hazelnut, Apricot and Honey Wholemeal Loaf in The Great British Bake Off, How to Bake. That gives me two H's! It's a sweet wholemeal bread mix, with honey instead of sugar and milk instead of water. 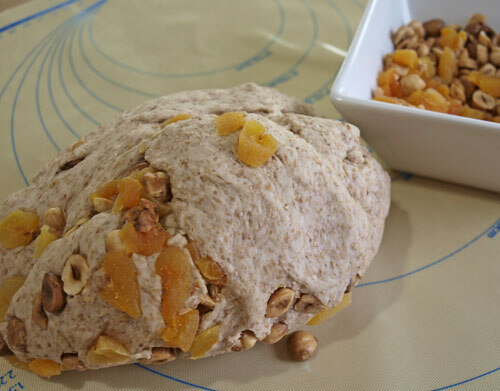 Added to it are toasted hazelnuts and chopped apricots. 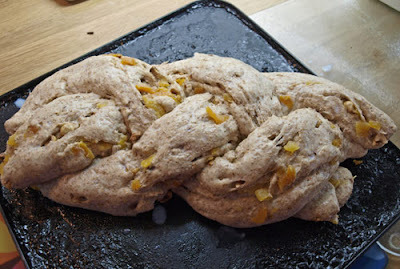 I think I would add a little more liquid to the mix next time as the dough was quite tight and heavy. I'm entering this for 'Breakfast Club #22, Let's hear it for Fair Trade' run by Helen at Fuss Free Flavours. The challenge runs every month with details of hosts on its own Breakfast Club page. Wow, that's a really beautiful loaf. 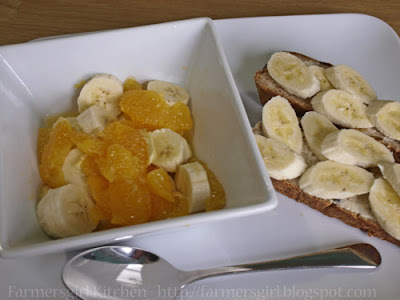 I love the sound of all those flavours and that breakfast looks right up my street - I do find a combination of fruit and bread (or toast) for breakfast fills me up far better than either cereal or even porridge. Thanks for entering this to AlphaBakes. A lovely double 'H' entry! I love the sliced bananas on the bread - my kind of breakfast - yum! ooh, i'm loving the plaiting, very fancy... love the fruit loaf too... isn't honey just marvellous baked into bread?